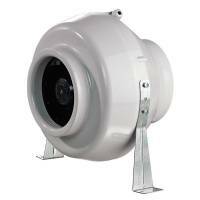 In this page we have collected the best centrifugal fans from the best brands such as Blauberg and Winflex, among the most silent and the most powerful air extractors for the forced ventilation of the indoor air: Grow Boxes, residences, kitchens, basements, blind bathrooms, bars, offices, indoor growing, shops, houses, restaurants, nightclubs etc. 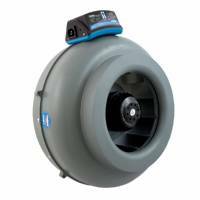 Features: The centrifugal or radial fans have the peculiarity of being able to move small volumes of air with a very high pressure. The extracted air passes along the motor axis and the drainage pipe perpendicularly to it. 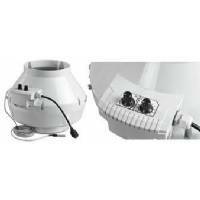 They incorporate a cochlea (spiral room), where the air is transported after being centrifuged by the fan. 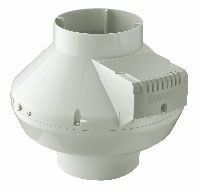 This type of fan is recommended for use on long pipes. 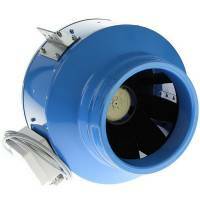 Do you Want to know how to choose the centrifugal fan among lots of models? Thanks to the simple calculation tool of hydroponics.eu you can discover with a few clicks which centrifugal air extractor is best for you, specifying its volume (capacity) estimate and the necessary air exchanges. 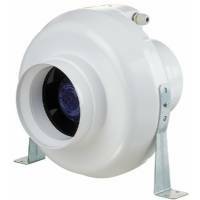 We offer centrifugal extractors or fans perfect for environments such as: Grow Boxes, kitchens, steam baths and blind bathrooms, basements, offices, indoor growing, houses, shops, libraries, cafes etc. 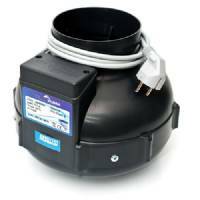 BLAUBERG MAX -15cm - 460m3/h is a compact, powerfull and practical air extractor that includes a thermostat to measure temperature and humidity.